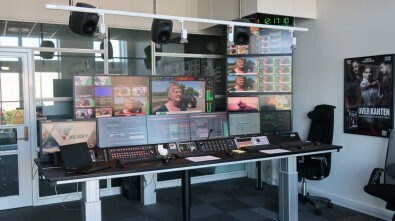 TV 2 master control in Odense, Denmark, manages eight regions and is based on a Pebble Beach Systems Marina automation system. The broadcaster’s workflow encompasses tape and file-based content ingest, QC and archive, as well as playout. It is based on Pebble Beach Systems’ Marina which controls Imagine Communications Nexio video servers along with Grass Valley processing, master control and graphics insertion. It also features cascaded routing, with control of three mixers and routers to allow the system to access additional upstream sources, principally for live events. TV 2 needed a new and more sophisticated playout infrastructure in order to broadcast unique content to each of Denmark’s eight regions. The workflow needed to encompass both content and ads synced to a master list. The network also wanted to increase revenue from internet-streamed versions of channels. The main control point for all of these tasks would be located in the operations center in Odense. 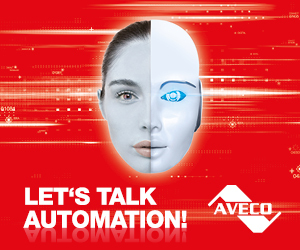 The next step was to develop a phased changeover from the legacy automation system. Pebble provided database synchronization that allowed the ADC and Marina automation systems to be used alongside each other to exchange metadata and media status information. “There’s something called a database bridge which made it possible to do a smooth migration and run both systems perfectly in parallel. We started with some non-complex channels and took one channel at a time and put them on air, then moved on to fairly complex channels, moving channel by channel. The database bridge updated every 2 mins from the Harris database and made every piece of metadata available in the Marina system,” said Ole Møller, Senior Project Manager, TV 2 DANMARK. After TV 2 switched over to the new playout automation, management decided that the ingest side—which had previously been upgraded to HD—could wait. The goal was for the ADC database to coexist with Marina handling the playout, and for the ingest workflow not to change at all. To mitigate risks, both the legacy and Marina ingest systems were run in parallel for more than a year. This allowed TV 2 to keep their existing workflow and delay a complete cutover until the team was ready. “Quite often it’s the operators who are most afraid of change,’” said Møller. “When you move from a system that you’ve used for 10-15 years or longer, it’s easy to forget what it was like when it was introduced. They can get very nervous when you show them something different.” Because the Pebble Beach user interface provides many of the same features and functions with identical or similar names, the staff quickly became comfortable with the new system. The Playout Area at TV 2 DANMARK, showing Marina in action. Part of the playout rebuild was to change how the regions handled local commercial breaks. Historically, each region would play its own commercials, which required video servers and commercial playout solutions at each site. One of the project’s main goals was to bring all the commercial playout back to the broadcast center in Odense, which would reduce costs and simplify video distribution. Multiple flexible regional playlists are synced to a master list. Master control then hands control to these local regions during their regional programming blocks. Each region receives a live feed when its local news is coming in, and when they roll their commercial breaks, all of the eight regions play their own local content from the central location. This saves TV 2 a lot of time and gives them a “best of both worlds” approach to managing the content both nationally and locally. One of the most significant revenue enablers with the new Marina system comes from ad insertions into TV 2’s internet-streamed channels. The automation system uses advanced SCTE rules-based logic to determine where to insert the SCTE triggers. TV2 did not have to change anything in their traffic system or provide special playlists. Marina communicates directly with Google’s system to drive the DAI, allowing TV2 to reap the benefits of moving to a modern platform. Møller says the Pebble Beach Marina automation system has helped his company achieve its operational goals while also preparing it for the future. 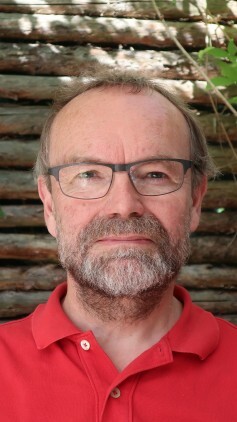 Ole Møller, Senior Project Manager, TV 2 DANMARK.